Cold and windy to start the day but the sea state was perfect. 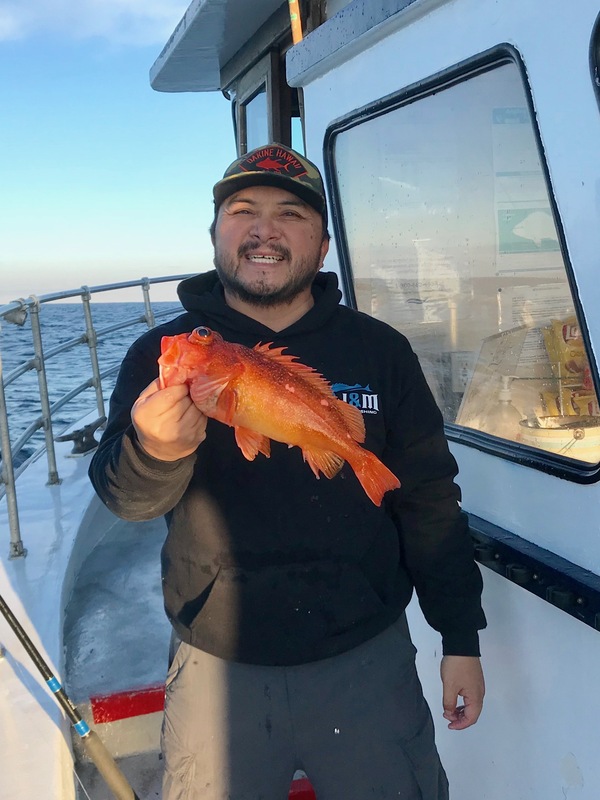 We caught our limit of rockfish by 10:30. Mainly nice sized yellowtail made up the bags but a few schools of blues passed through. We were joined by one of the marine biologists that narrate our whale watching trips. He had a limit of fish that included a couple nice reds that had passengers asking for a trade and a very nice Ling. The crab fishing went quick (love the new puller) and the crab numbers held steady. Everyone went home with 2 crab each and a few extras were given to the passengers that helped the most re-baiting and setting gear. Overall it was a great day of fishing.